Catheter ablation is an atrial fibrillation treatment that is done by a specialized cardiologist, called an electrophysiologist (EP), who deals with irregular heartbeats (arrhythmias). It is a minimally-invasive procedure that is generally less invasive than surgery. It is a commonly-used treatment for atrial fibrillation as well as other cardiac arrhythmias. Like other atrial fibrillation treatments, it is most successful in treating paroxysmal atrial fibrillation, but much progress has been made in treating persistent and longstanding persistent atrial fibrillation as well. It is done on a beating heart in a closed chest procedure. Small punctures are made in the groin, arm, or neck area and thin, flexible tubes, called catheters, are inserted and threaded to the heart. Once there, the catheter's tip is threaded through a tiny incision in the wall between the left and right atria (septal wall), and is positioned to ablate tissue around the pulmonary veins or at other sources of erratic electrical signals that cause the irregular heartbeat. In some cases, a balloon catheter is used for atrial fibrillation ablation. The catheter uses an energy source, such as radiofrequency energy (radio waves), cryothermy (intense cold), or laser energy (light waves), to create a lesion of scar tissue, called a conduction block, that stops the erratic electrical signals from traveling through the heart. Catheter ablation originated in the 1980s for treating cardiac arrhythmias and started being used for atrial fibrillation ablation in the 1990s. Variations of the procedure have evolved over time. One afib ablation procedure that has been done for years, but is much less commonly done today, is AV node ablation, sometimes called AV junctional ablation. The atrioventricular (AV) node sends electrical signals from the upper to the lower chambers of the heart. In this procedure, the AV node is frozen or cauterized to stop electrical signals from being transmitted and a permanent pacemaker is implanted to control the heart's electrical system. This procedure doesn't stop the heart palpitations and the patient keeps having afib, but the signals don't get transmitted. Some patients no longer feel the irregular heartbeat, but many still do. With afib continuing, the patient must stay on an anticoagulant, such as Coumadin® (warfarin) or Pradaxa (dabigatran), due to the risk of stroke. In addition, the heart doesn't work effectively, so patients may still feel tired. This works best in patients who already have a pacemaker or need one for other reasons. AV node ablation is typically the atrial fibrillation treatment of last resort and is used for that which is untreatable by any other means. It tends to be used in those elderly patients who are too fragile for catheter ablation. Most afib patients should exhaust all other treatments for atrial fibrillation before having an AV node ablation. Catheter ablation has evolved over time. 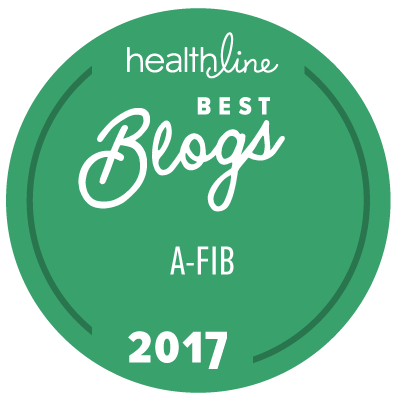 The most frequent afib catheter ablation done today is the radiofrequency catheter ablation. It is typically some variation of pulmonary vein isolation (PVI), which you may hear called pulmonary vein antrum isolation (PVAI) or pulmonary vein ablation (PVA). The goal of the procedure is to eliminate the irregular heartbeat that research has shown typically originates from the four pulmonary veins. This form is most successful with paroxysmal atrial fibrillation. One of the newest frontiers in afib treatment is an encouraging trend that has evolved from collaboration between electrophysiologists and surgeons, especially at integrated afib centers. Since there are advantages to both catheter ablation and the mini maze procedure, the newer hybrid procedure and convergent procedure combine the best of both catheter ablation and the mini maze procedure in the same operation. We can look forward to seeing exciting things happening with hybrid and convergent procedures. The Dual Epicardial Endocardial Persistent Atrial Fibrillation (DEEP AF) trial, a feasibility study of the safety and effectiveness of hybrid ablation using AtriCure's bipolar Synergy clamp, is underway in the US. The convergent procedure is different from the hybrid procedure in that it uses a different entry point in the body and a different device, in this case a unipolar radiofrequency device instead of a bipolar radiofrequency one. The convergent procedure has yet to begin its feasibility study in the US. It is important for patients to be aware that most devices for catheter ablation have not yet been approved by the US Food and Drug Administration (FDA) for treating atrial fibrillation, but clinical trials are ongoing to determine their efficacy (effectiveness) in preparation for seeking FDA approval. Many of these tools have been FDA-approved for use on "cardiac tissue," but the companies that make these devices are not allowed to market them for treatment of atrial fibrillation, and because of that you may occasionally run across the term "complex left-sided arrhythmia" as a euphemism for atrial fibrillation. There is no need to be concerned when you read that the devices are not approved for atrial fibrillation because doctors are at liberty to use the tools that they deem appropriate and safe for ablation to treat atrial fibrillation. Catheter ablation continues to evolve based on the growing body of knowledge of afib mechanisms and the tools and techniques available for atrial fibrillation treatment. To learn more, see Catheter Ablation Techniques or Catheter Ablation Technology. If you're considering a catheter ablation, you need to know about Catheter Ablation Success Rates and Catheter Ablation Risks.